Bernadine Evaristo is wildly talented. Lara is a novel in verse, and tells the story of two young people who fall in love in 50s London. She's white; he's a Nigerian exchange student. They and each member of their family experience the nuances of exile, particularly Lara, the middle of eight bi-racial children, poetically adept, confused by assimilation demands, and desiring, more than anything, the stories of her Nigerian heritage her father represses. Stunning! The phrase 'novel-in-verse' tends to make my heart sink, so I began reading with some reluctance. 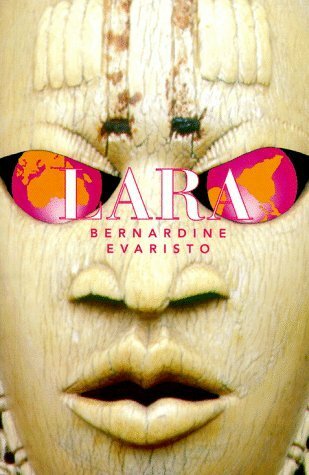 I was won over very quickly though to Bernardine Evaristo's innovative and vibrant narrative. The fragmented lyrical style perfectly suits the nature of reminiscence and evokes a haunting and moving sense of displacement.The scope of this novel is ambitious and goes back several generations in Lara's family to reveal a variety of cultural origins that blend and swirl together to confuse Lara's own sense of cultural identity. Though a lot of the stories are tragic tales of poverty, loss and despair, the overall tone is actually positive and life-affirming as Lara becomes empowered to embrace the cultural identity she has inherited. Loved this book.Somehow when I first discovered Lara, I missed the fact that it is a novel-in-verse. I was a bit annoyed when I ordered a novel about a mixed-race girl (Nigerian father, English mother) exploring (herself through) her ancestry and received a book of poetry. Then I actually read it.Absolutely loved it.Lara is many stories: of how England came to be with expats from Ireland, Germany, Nigeria, etc. ; how Lara's immediate family came to be; and how Lara herself came to be (in a coming of age type of story).I'll definitely read this again. *the edition I read is the one that was released in 2009 which is longer than the original release. Wow. I am amazed how powerful this book is and how much history it packs into its pages. Lara was a text for a university module on postcolonial British literature. It's novel in verse format put me off, so much so that I left it as the last text to be read on the module. I have been so pleasantly surprised by this book and the writer's talent. The handy family tree at the beginning of the book was great as it can be hard to keep track of the many characters. I am genuinely impressed with the amount of contextual information, emotion and relevance that has gone into this novel. The verse form works well and serves to highlight some key points in the text. A surprising 5 star review from me! Bernardine Evaristo - Bernardine Evaristo is a British writer, born in Woolwich, south east London to an English mother and Nigerian father. She has written novels in various mixes of prose and poetry; she has also written poems, radio plays, and theatre plays. Among her other honours, The Emperor's Babe was chosen as one of the Times' "100 Best Books of the Decade" and Evaristo was named a Member of the British Empire (MBE) for being "a major voice in the multicultural panorama of British literature".